What a privilege it was to work on this Digital Campaign. When RYOBI approached us we were immediately excited about the potential. We were shown the TV spot that was running across Channel 4 and other SKY channels and were immediately hooked. This was also nerve wrecking, in that we had to ensure what ever we did across the digital channels, lived up to the brilliant TV spot and did it justice. 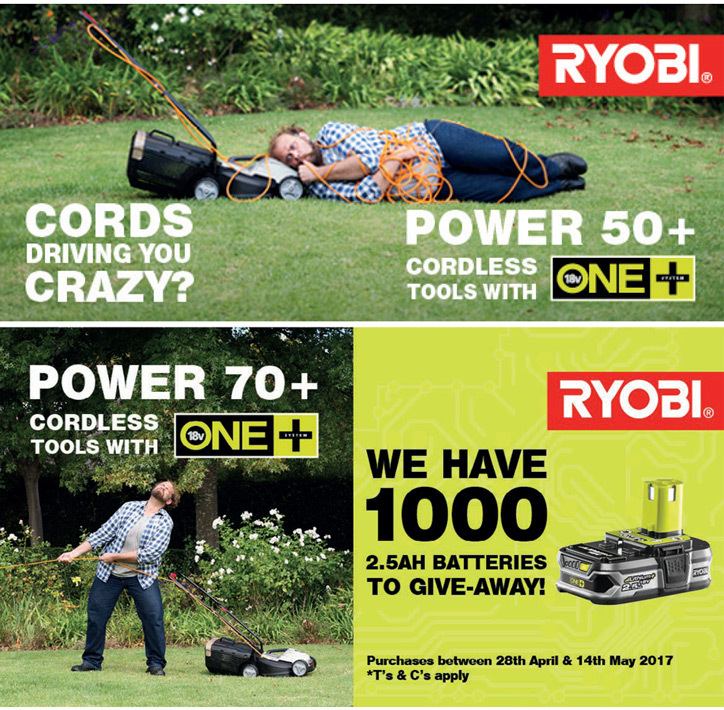 We even got a chance to visit RYOBI and try out the latest tools and equipment that were being featured in this campaign. To get us started, we came up with a simple template and transitional style for the HTML adverts, and coupled with the great photography, and chosen (very bright) colour palette, created a striking set of adverts. The copy lines were refined by us and we ensured they complimented the photography we were working with, which added more humour and helped drive the message home. The style and messaging we created was then rolled out across POS and literature to ensure the message was not only reached online, but also within key retail partners. Social channels also played a huge part in this campaign, and once again, we were able to roll out our style and messaging across all social channels, ensuring consistency and full impact.